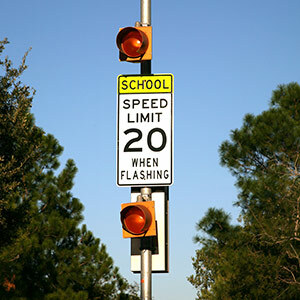 Gwinnett County flashing school beacon system deployment - Applied Information, Inc.
Gwinnett County, Georgia has installed and deployed 270 new school beacons that use the Glance School Zone Flashing Beacon system on its streets. The cloud- and web-based system provides a cellular modem in each beacon that allows personnel to monitor and update the entire system remotely, making it the most advanced system of its kind. Gwinnett County Public Schools is the largest school system in Georgia with 139 schools and approximately 178,000 students. Since upgrading the school beacon system in 2016, officials have noted a 90 percent reduction in the number of calls related to faulty operation of one or more beacons.